When the weather hasn't been blowing or raining the fishing has been good. 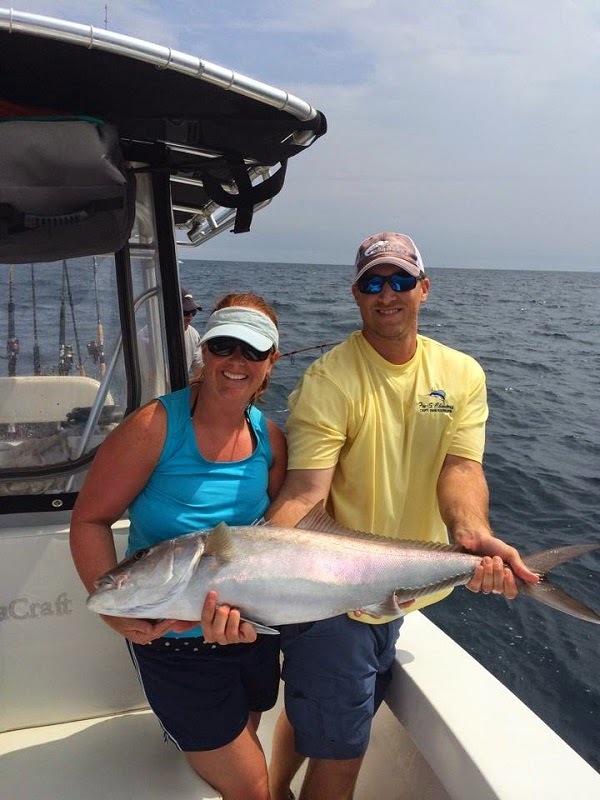 A few king mackerel are starting to bite on some of the offshore reefs, along with amberjacks and flounder. 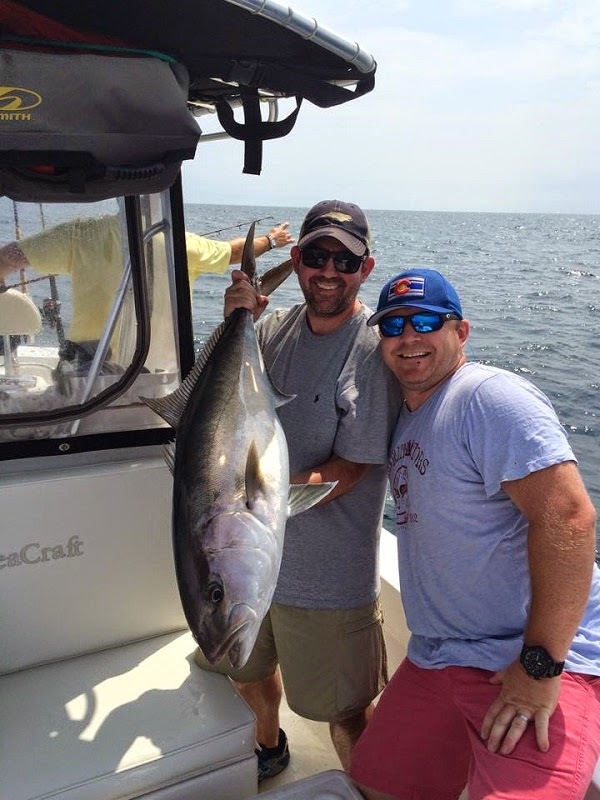 With the northeast winds this week the spanish mackerel, bluefish, and jacks have been in the surf feeding on finger mullet. And in between the rain storms when the water clears up the red drum are doing pretty good in the marshes.